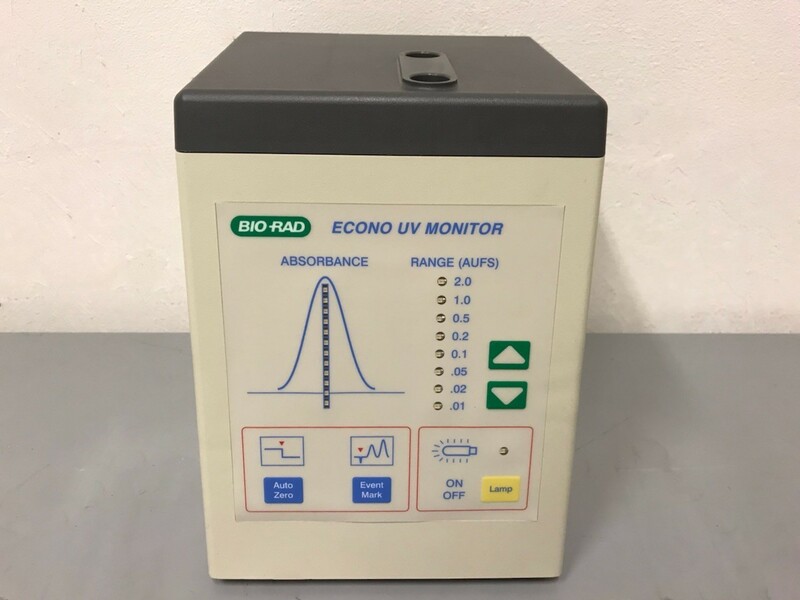 High quality single-wavelength detector for flowthrough monitoring of effluents from chromatographic columns, centrifugation gradients, and other devices. 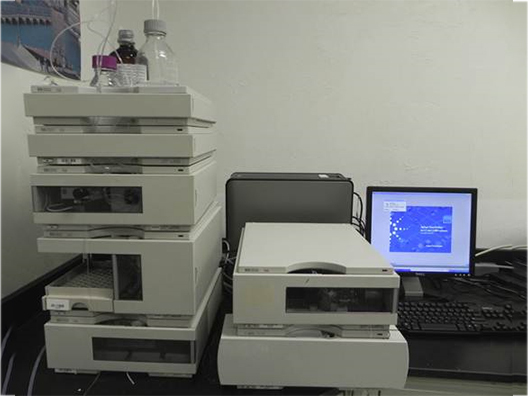 This CO2 incubator is equipped with a high level of contamination control for high volume culturing. It is built with multiple advanced components including: CO2 sensor, precise microprocessor controls, active humidity control, HEPA air filtration and high-temperature decontamination capability. 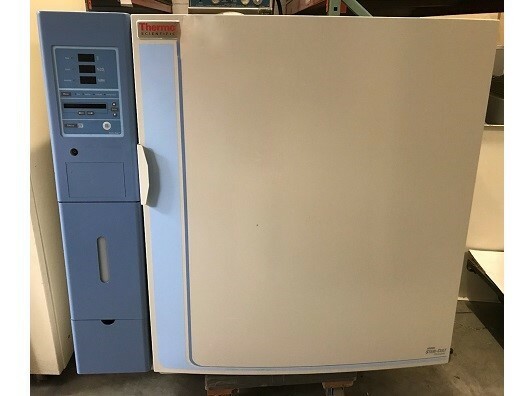 Description: The Worthington Industries K Series Cryostorage Systems offer reliable and efficient liquid nitrogen storage and easy access to stored samples for your laboratory or office. 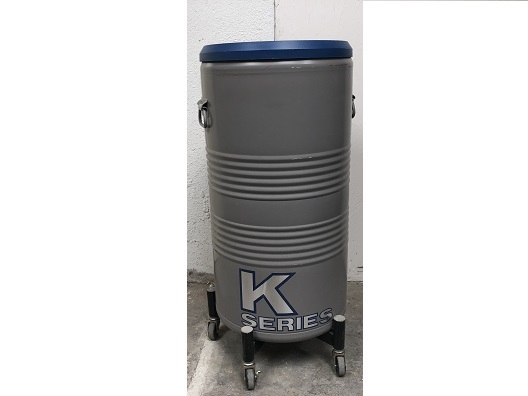 Featuring the safety of electronic controllers that monitor and manage liquid level, temperature and a full array of alarms, K Series Cryostorage Systems provide sample storage solutions for either liquid or vapor phase applications when equipped with suitable inventory control systems. 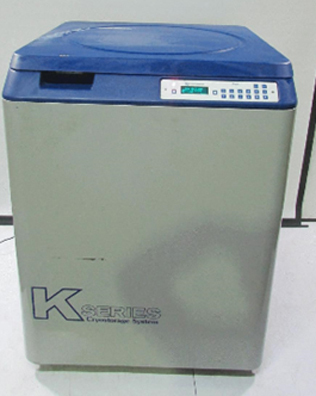 With vial storage capacities from approximately 3000 to more than 38,000, the K Series Cryostorage systems provide easy-to-use sample storage and retrieval for many types of cryogenic storage applications. Product formerly branded CryoScience by Taylor-Wharton, which was acquired by Worthington Industries. Power requirements: 120 Volts 60 Hz. Transfer chamber is 12" long and 11" diameter (Interior Dimension). "Bright Light" system (40,000 hour lamp). Electrical outlet strip; U.L. & C.S.A. approved, hospital grade with four outlets. Automatically controls oxygen, C02, and temperature. Ideal for tumor cell and stem cell research. 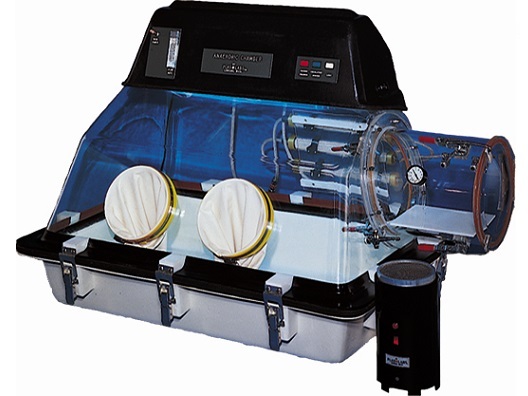 The Hypoxia Chamber Glove Box is ideal for tissue culture work, including tumor cell and stem cell research. It features a color operated "touch screen" for automatically controlling oxygen levels, temperature levels, and carbon dioxide levels. 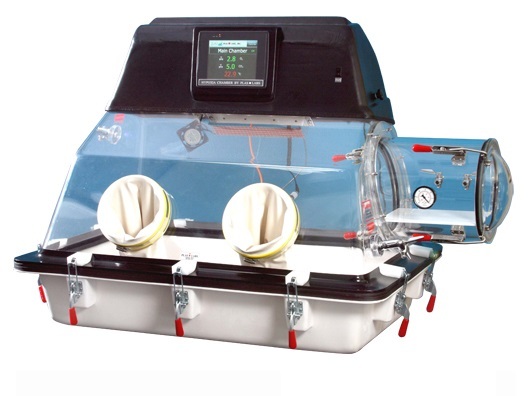 This new controlled Hypoxia Chamber is available with up to six (6) individually controlled compartments inside the glove box. A side chamber is available for sample preparations and / or a microscope viewing port. Each cubicle has its own temperature, oxygen, and CO2 controls. It also includes a side access door and transfer chamber. 8" Color Panel Touch Screen. Thermoelectric Assembly (Peltier device) O2 Sensor and CO2 sensor. Password protected, configurable PID control. Platinum RTD with sealing gland. N2, CO2, and O2 gas hook-up. Air circulation fan Inert gas hook-up. Configurable for up to six individually controlled sampling chambers. Ethernet port connection for data logging. The 857-OTA One-Touch "Go Anaerobic" chamber allows one press of the "Go Anaerobic" button to create a strict anaerobic environment. Simply push the "Go Anaerobic" button on the large, color, touch-screen display and glove box automatically begins the purging sequence. Only 300 liters of gas needed to achieve anaerobic atmosphere. 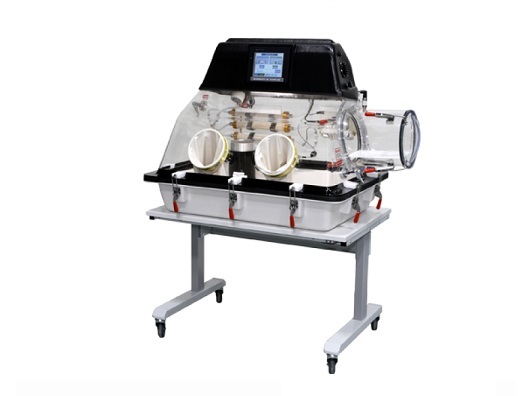 The 857-OTA Anaerobic Chamber includes automatic purging of main chamber and transfer chamber, oxygen analyzer, pressure hold function, and a large easy-to-use touch screen. "Bright Light" System. Two 1/4" NPT gas connections. This digital dry bath offers a range of configurations. It has a max temperature of 130°C and is suitable for basic to advanced applications. It is equipped with a timer which allows the user to accurately monitor the heating time. 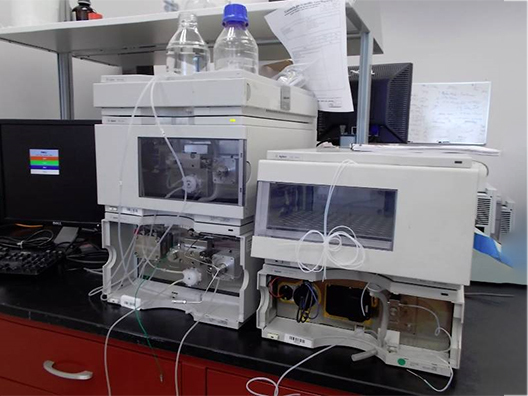 Developed for integrated UPLC/MS/MS quantitative applications, the Waters ACQUITY TQD features the highest levels of tandem quadrupole MS selectivity, robustness, speed, and accuracy. 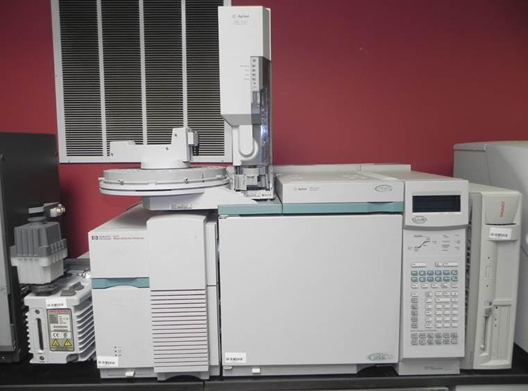 To maximize the analytical advantages of UltraPerformance LC (UPLC), the ACQUITY TQD operates at the highest data acquisition rates. 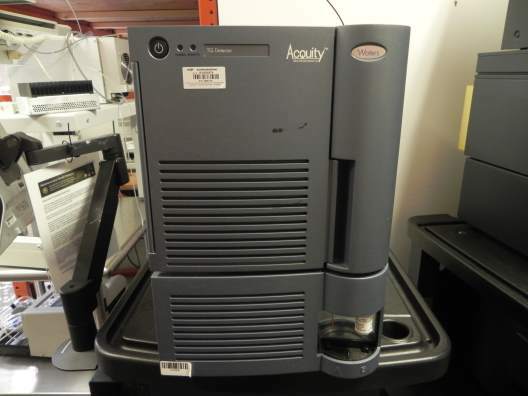 When integrated with the ACQUITY UPLC System, the ACQUITY TQD gives you class-leading analytical detection limits, resolution, and sample throughput for all of your quantitative applications: bioanalysis, ADME screening, food safety, environmental monitoring, clinical, forensic, and more. Inter-channel cross talk: The inter-channel cross talk between two MRM transitions, acquired using an MRM dwell time of 10 ms and an inter-channel delay time of 10 ms, will be less than 0.02%. 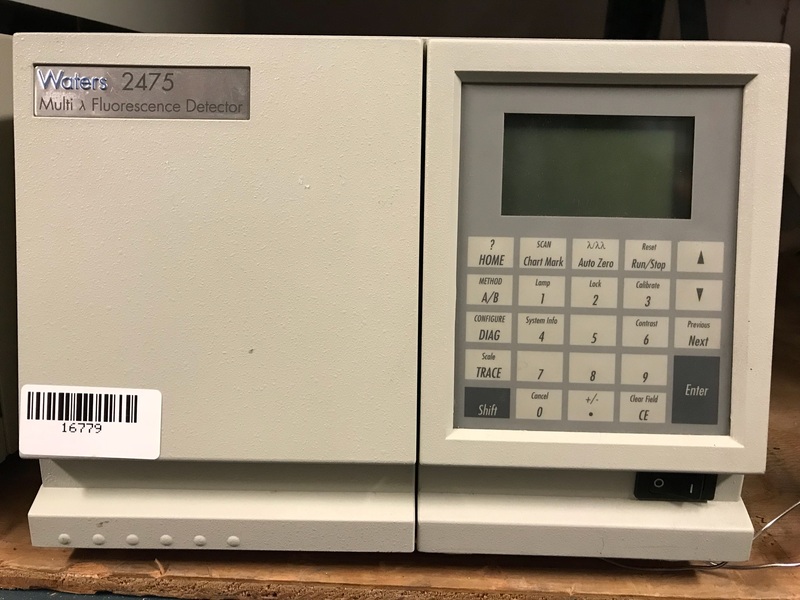 Number of MRM channels: Up to 16,384 MRM channels (512 functions, 32 channels per function) can be monitored in a single acquisition; up to 1024 MRM channels when operating in GLP/secure mode (32 functions, 32 channels per function). MRM sensitivity (ESI+) : A 1 pg on-column injection of reserpine will give a chromatographic signal-ta-noise greater than 2,000:1 (Gradient separation, LC mobile phase flow rate of 0.8 mL/min, MRM transition mil 609 > 195). MRM sensitivity (ESI-): A five pg loop injection of chloramphenicol, wi th a mobile phase flow rate of 200 ~lImin will give a chromatographic signal-ta-noise for the transition 321 > 152 mlz greater than 180: 1. MRM sensitivity (APCI+): A 100 pg loop injection of 17-a-hydroxyprogesterone, with a mobile phase flow rate of 1000 IJLlmin will give a chromatographic signal-ta-noise for the transition 331 > 109 mil > 150:1.